Light Weight, Performance and Durability. 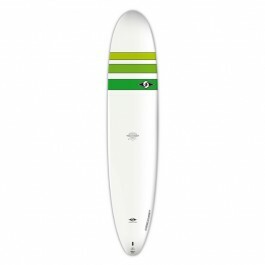 BIC Sport’s ACE-TEC construction technique produces a board that is approximately 30% more durable while being almost identical with regard to stiffness and weight when compared to a similar polyester constructed surfboard. To accommodate the needs of more advanced surfers, ACE-TEC surfboards provide shapes that not only suit the intermediate surfer, but also experienced riders who know how to ride a surfboard. 7’6″ Performer : Performance perfection! Combining that elusive blend of versatility and performance with unbeatable durability, the 7’6” Performer lives up to its name! Possessing the stability and ease of a longboard with integral design elements of a quick-turning shortboard, the Performer offers you the chance to pump up your surfing technique while decreasing your board length. Able to embrace a wide range of wave conditions, it offers heaps of fun and a versatile ride through its tested, refined and proven shape. 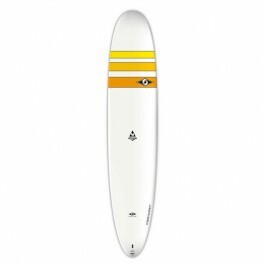 BIC Sport’s ACE-TEC (Epoxy Composite) construction technique produces a board that is approximately 30% more durable while being almost identical with regard to stiffness and weight when compared to a similar polyester constructed surfboard. 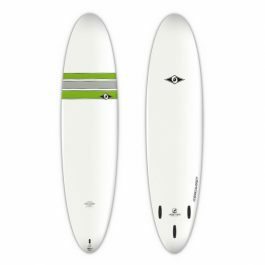 To accommodate the needs of more advanced surfers, ACE-TEC surfboards provide shapes that not only suit the intermediate surfer, but also experienced riders who know how to ride a surfboard. Handling both small waves and pumping swell with style, the Classic Longboard offers both beginners and seasoned noseriders a ride with endless possibilities! No matter if you are looking to hang five, get tubed or perform a roundhouse cutback, the Classic Longboard is with you all the way. 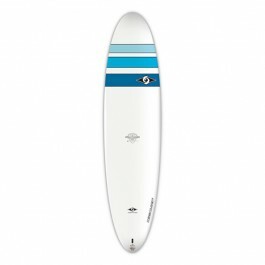 Effortlessly bringing together modern technology with old-school style, our 9’0” will satisfy surfers of all levels. Beginners will appreciate its volume and a forgiving outline, while advanced wave walkers will be impressed with the way it handles pumped up swell and rides sweetly through the high-line into and out of radical sections. Built with the durable ACE-TEC construction, the Classic Longboard will last you many years and through thousands of great surfs! Combining that elusive blend of versatility and performance with unbeatable durability, the 7’6” Carver lives up to its name! Possessing the stability and ease of a longboard with integral design elements of a quick-turning shortboard, the Performer offers you the chance to pump up your surfing technique while decreasing your board length. Able to embrace a wide range of wave conditions, it offers heaps of fun and a versatile ride through its tested, refined and proven shape. A longboard with no limits! Handling both small waves and pumping swell with style, the Classic Longboard offers both beginners and seasoned noseriders a ride with endless possibilities! No matter if you are looking to hang five, get tubed or perform a roundhouse cutback, the Classic Longboard is with you all the way. Effortlessly bringing together modern technology with old-school style, our 9’0” will satisfy surfers of all levels. Beginners will appreciate its volume and a forgiving outline, while advanced wave walkers will be impressed with the way it handles pumped up swell and rides sweetly through the high-line into and out of radical sections. Built with the durable ACE-TEC construction, the Classic Longboard will last you many years and through thousands of great surfs!